ooh, it's an exciting time! Things are starting to bloom as we enter springtime. 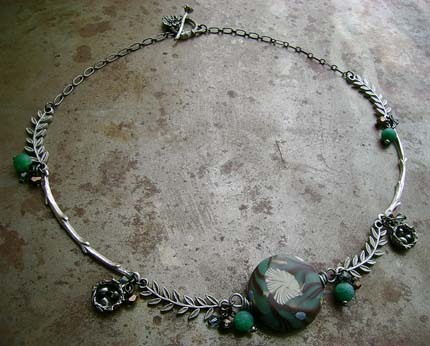 I am obsessed with jewelry that features leaves and nests and trees and other springy motifs, like this free project that Heather Powers created for Art Bead Scene from our archives. The gorgeous Almond Branch Necklace project can be found by clicking here!